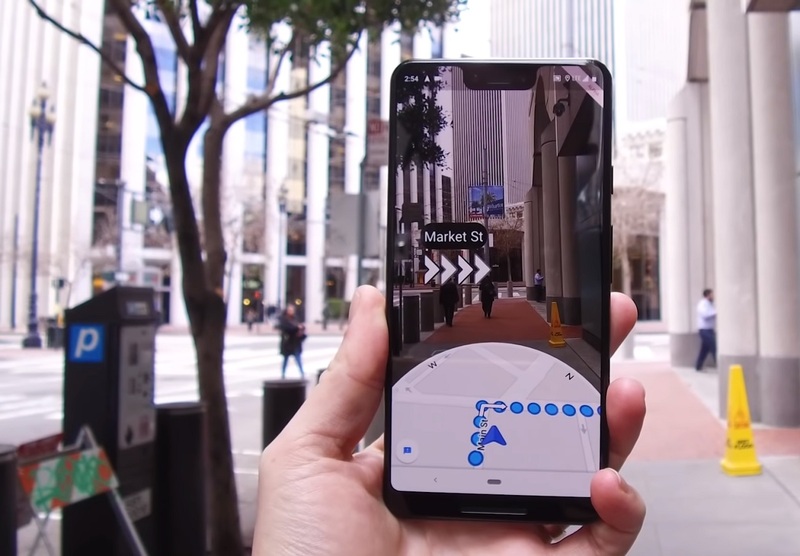 Last year at the I/O developer’s conference, Google revealed a new AR feature for its Google Map. According to reports, the new feature will make navigation easier for the users by providing directions from their phone’s camera in real time. The Wall Street Journal’s David Pierce got to try out an early version of the feature and commented that this can make a significant change in Google Maps. The app works by picking a person’s location on the GPS and then uses Street View data to narrow their location exactly on the map. Once the location is pinned down, the map displays large arrows and directions on the screen. According to the WSJ columnist, the app also restricts users to use the camera persistently and displays regular map interface when they do put it down. Apparently, Google has been experimenting with the user interface for some time now. However, it has not yet revealed when it will be available for the general public. David Pierce claims that the biggest advantage of this feature would be to provide users with specific location data. It will also not be limited to phones but will be implemented on AR-capable glasses. For some time now, major IT companies like Apple, Facebook, Google, and North have been working to bring their own AR glasses in the market. However, it looks like Google’s new feature would be making its way soon to your line of sight! Let’s wait and watch when Google is finally ‘satisfied’ with the development of the AR-capable Google Map and rolling out the feature to all its users.